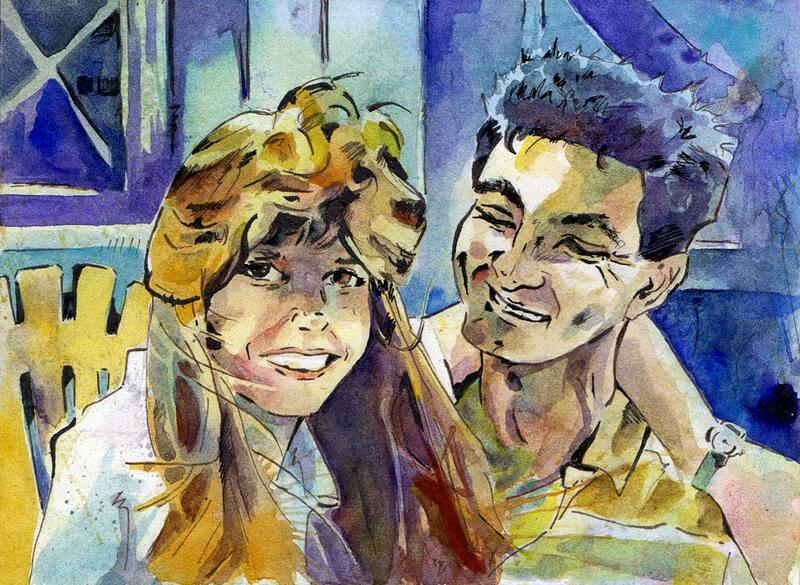 Custom couples portraits make great wedding, anniversary, engagement, and Christmas presents. It is also important to remember the traditional first anniversary gift is "paper". A painting on paper makes a wonderful first year present. 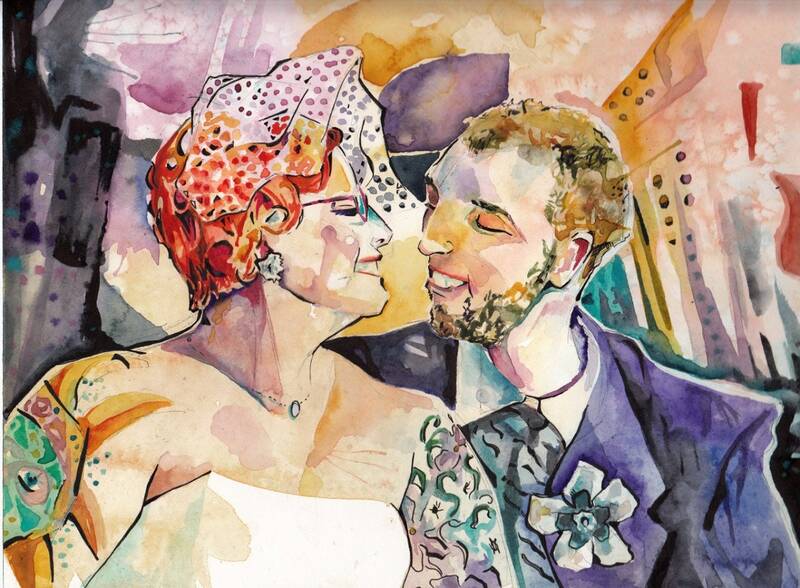 These paintings also look wonderful framed on wedding guest book tables. So much more unique than a photograph! 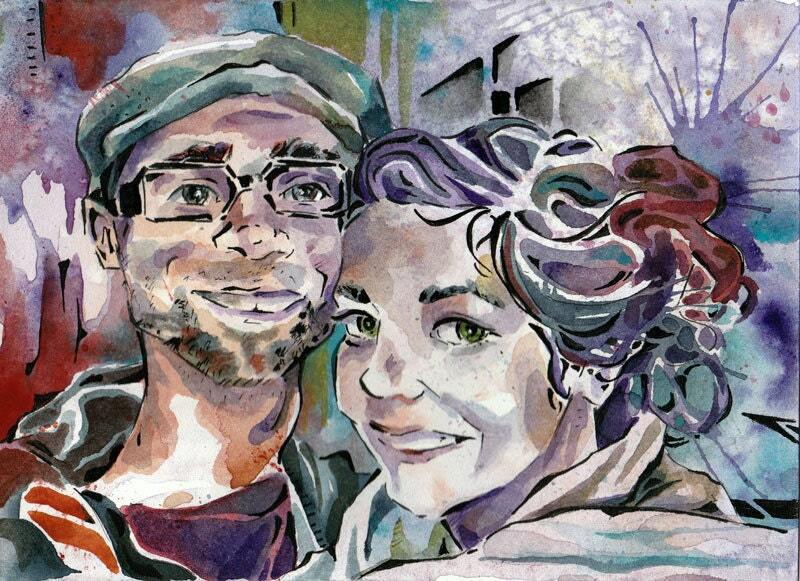 This listing is for a custom couples portrait painted by hand by me. 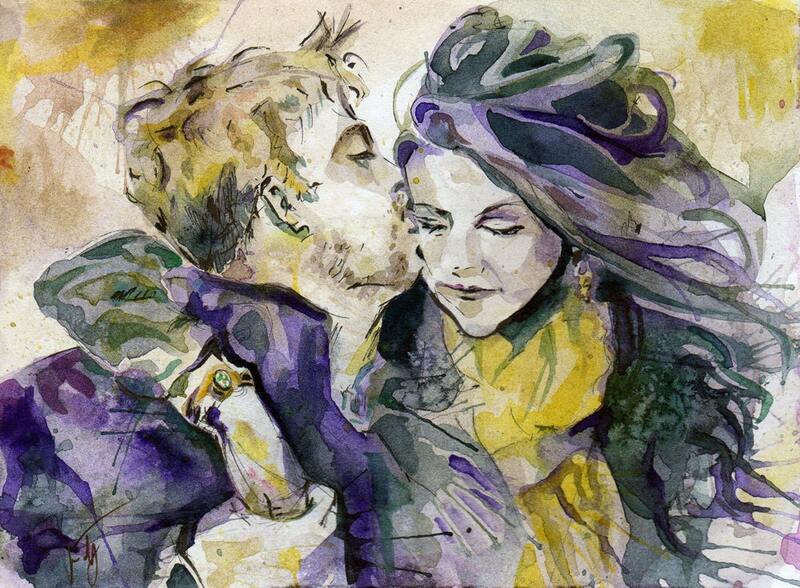 The portrait will be a made to order, one of a kind original watercolor. Its size will be 9 inches by 12 inches (22.9 cm x 30.5 cm) and it will be painted on high quality watercolor paper. The above photos are examples of other custom portraits I've created. Your portrait will be in that style. I'll work from the photos you send me. At least one clear photo of the couple together will be required before I begin painting. 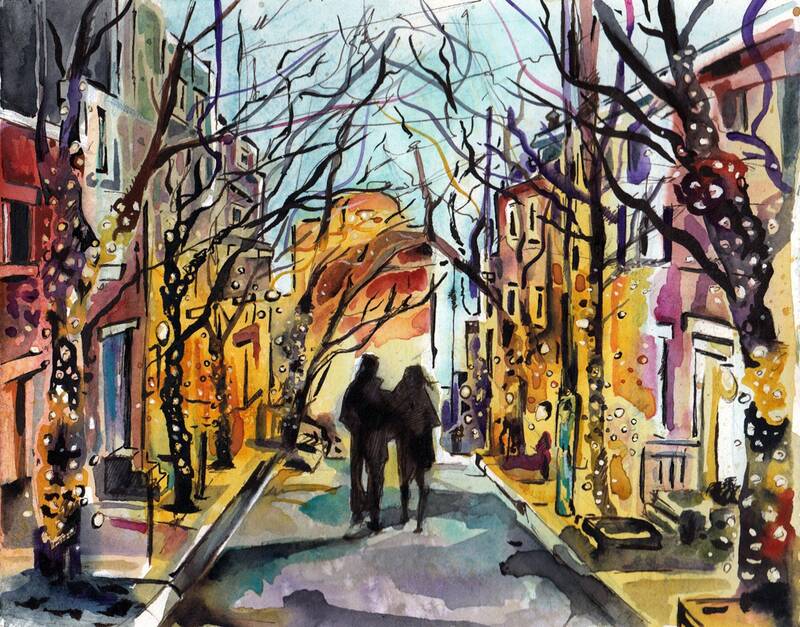 If the couple in the photo has wedding colors, let me know the colors and they will be incorporated in the piece. The painting will take approx. 3 weeks to create. Rush orders are available but at extra cost. If you have any questions please e-mail me at jashmen [!at] gmail.com or simply send me an Etsy message.